This new recipe has been a looong time coming, and I’m so excited to share it with you! Batches and batches of experimentation – playing with flour and delicious cocoa powder amounts, some input from readers over the years (especially Marina who tried a similar version of my sugar cookies – thank you! 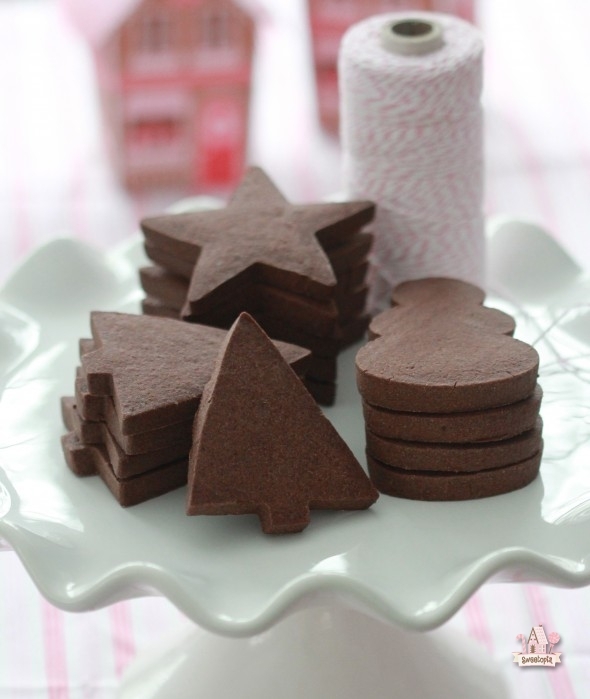 ), and finally, the yummiest chocolate sugar cookie recipe! I was happy to put the final touches on the recipe for Go Bold With Butter, a must-see baking and savoury recipe resource for those serious about all-natural ingredients and excellent buttery taste. You can find my chocolate sugar cookie recipe here as well, and enjoy all the other mouth watering recipes there! One of the reasons I experimented with this recipe so much, is that I wanted to find the best ratio of butter to flour etc., to create the perfect cut out cookie which holds its shape. This one definitely does, but no matter what recipe you use, these tips on how to prevent cookies from spreading are important to know. Use the best quality ingredients you can. The cocoa powder will make a big difference in the final taste of your cookies. 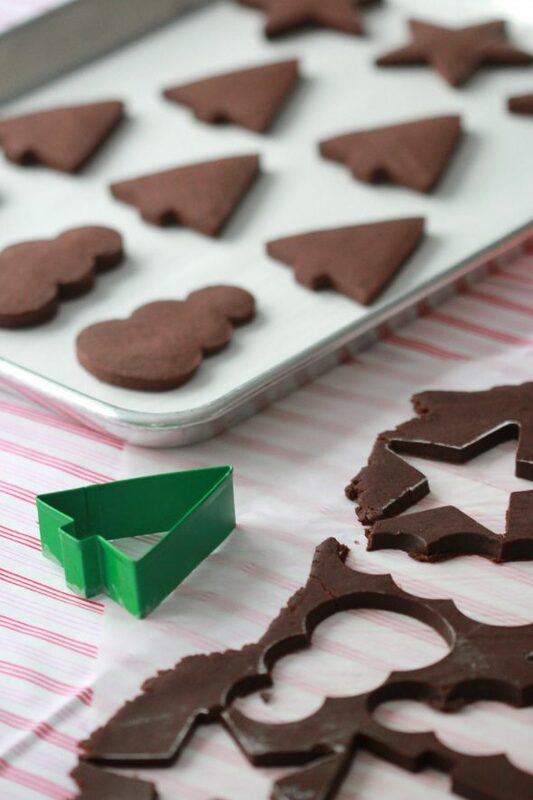 Enjoy baking and nibbling on decorating these! Cream the butter and sugar together in the bowl of an electric mixer on low to medium speed (Use a paddle attachment). Mix until thoroughly incorporated – for about one minute. Scrape down the sides of the bowl with a plastic spatula and mix again for a few seconds more. Over mixing the butter and sugar in this step will cause too much air to be incorporated into the dough. If you’d like a light and fluffy cookie, that’s ideal, however the dough will spread more during baking; not ideal if you’d like the cookie to hold its shape. Add liquid vanilla extract. Stir briefly. Sift your dry ingredients together. (Flour, cocoa powder and salt). Add all of the flour mixture to the bowl. Place a large tea towel or two small tea towels between the edge of the bowl and the electric mixer so that the flour won’t escape. Mix on low speed for 3o seconds. Remove the tea towels and observe the dough mixing; when it clumps around the paddle attachment it’s ready. It’s also important at this stage not to over mix the dough. Bake cookies for 8-12 minutes or until the center of the cookie no longer looks wet. The baking time will depend on the size of your cookie. Has anyone made these Gluten Free? I would love to know how they turned out. Hello April, I have made these GF I use a GF flour blend that is a cup for cup substitution and I add Xanthum Gum to keep it all together! Easy Peasy! I made these exactly to the recipe, but I can’t figure out if I like them or not. I think these relate more to “dark chocolate” rather than “milk chocolate” cookies. I love dark chocolate, but a lot of people don’t care for “dark chocolate.” I need a good ratio of the cocoa to accommodate the other side of my family who is not too keen on dark chocolate flavors. I feel like these are a little too potent with the cocoa. I’m going to try and reduce the cocoa by a half a cup and just add in more flour. Not sure how that will turn out, but I want to try anything to reduce the strong cocoa flavor for me. These did however bake gorgeously!!! To tone down the dark chocolate intensity for my picky little one I topped this cookie with marshmallow fluff and dusted just enough icing sugar to stop it from being sticky. My tiny dictator was thrilled to help and I didn’t have to make two separate batches. Hope this helps! Will this recipe work if halved? I halved the recipe and ended up with 40 average-sized cookies with two roll outs. These cookies were amazing! Thank you for sharing! I bake regularly for my colleagues and everyone went crazy for them. I used Valrhona cocoa powder and believe it made a difference… and I have to admit I sifted the cocoa powder but didn’t sift the flour for my next batch so we will see the difference. I’m also going to leave the dough in the fridge overnight, I believe it should be okay. Just wondering what kind of cocoa powder you use? I just made them with Hershey’s and they were delicious! I just came across this recipe it sounds good. I want to make teddy bear cut outs for my daughters baby shower. Since I have so many things to prepare prior to the shower. I wanted to know if I can make the dough a couple of weeks early and freeze. If so do I have to roll out and freeze or can I freeze in a ball? Thank you. 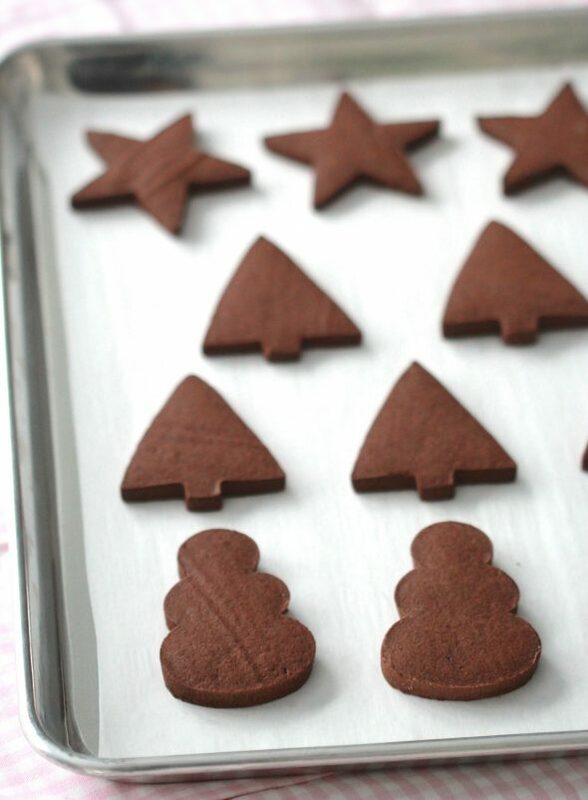 Can I use the traditional a meringue and/or Royal icing to decorate these cookies? Or what kind of frosting and or icing do u recommend? Thanks. Hi!! I was wondering if I could use regular butter instead of unsalted butter and omit the 1 tsp of salt? I would like to try your cookies they look sooo good to eat. Thank You. I tried these cookies using Ghirardelli cocoa and they were delicious. My question is regarding the softness of the cookie as I was hoping for a stiffer cookie as these seem more like a soft cookie than a sugar cookie texture. Maybe I’m missing something? They held their shape perfectly, just wish for a little stiffer texture. Any suggestions are appreciated!! Thanks!! I’m glad you enjoyed them! You can bake them longer to make them crispier/sturdier. When you have a moment, would you please let me know if you used sweetened or unsweetened Ghirardeli cocoa powder. Thanks. I made these using nice buttercream frosting and they are perfect! Everything I wanted them to be. I love decorating cookies but hate regular sugar cookies and the chocolate makes these perfect. The texture of mine were a little shortbready.. kind of dense and really a solid treat that leaves you nice and full. As others mentioned, it is more of a dark chocolate and it threw me off a little when I first tasted them but I couldn’t stop eating them. As I said, I made buttercream- vanilla to decorate and a milk chocolate buttercream just to try. I love chocolate.. but chocolate on chocolate was really for my daughter who is a fan as I thought it would be too much for me. It wasn’t, and these cookies were perfect. I can’t wait to make some with the kids for Halloween! Hi Marian, thanks for the mention! Glad I could help as you have been so kind and generous sharing with all of us. Thank you again. Can I please have the ingredients in grams ? Yes, you can even leave the dough to chill in the fridge overnight. My family dislikes the general sweetness of more “American/Western” desserts and my mother prefers to reduce sugar amounts in recipes by at least half if not more. I’d like to bake these for family gatherings, but I’m not sure how I might affect the cookie by dropping an entire cup of sugar? Do you think it might be problematic? Is there a general effect I can expect in reducing sugar amounts in (SUGAR, ha) cookies/baking? When melted, sugar is a liquid, and it helps keep baked goods soft and moist. It helps leaven, deepens the color and flavour, and when baked long enough, helps give the cookie its crunch. Reducing the sugar may make the cookie a tougher texture (and would make a less sweet cookie), however, I haven’t tried dropping an entire cup of sugar in this recipe. It could still work as there is quite a bit of moisture in the butter as well. If you try it, please let me know how it goes. I should mention that this cookie isn’t overly sweet, until you put royal icing on it. 😀 That being said it isn’t overly sweet to MY palette, perhaps it would be to yours and your family. Tough to say without trying the recipe first. I’m very interested to hear how it goes! Thanks, Lisa, no I haven’t tried it but thanks so much Lisa for reaching out to me. Happy holiday baking! Yes, you can do that. 🙂 Happy baking! No, you don’t need to, however, put the flour and other dry ingredients and a bowl together and stir them a bit with a whisk to incorporate everything together. How thick did you roll out the dough. Your cookies look quite thick in the picture. I like the look. I have just made these from the recipe and they are yummy. 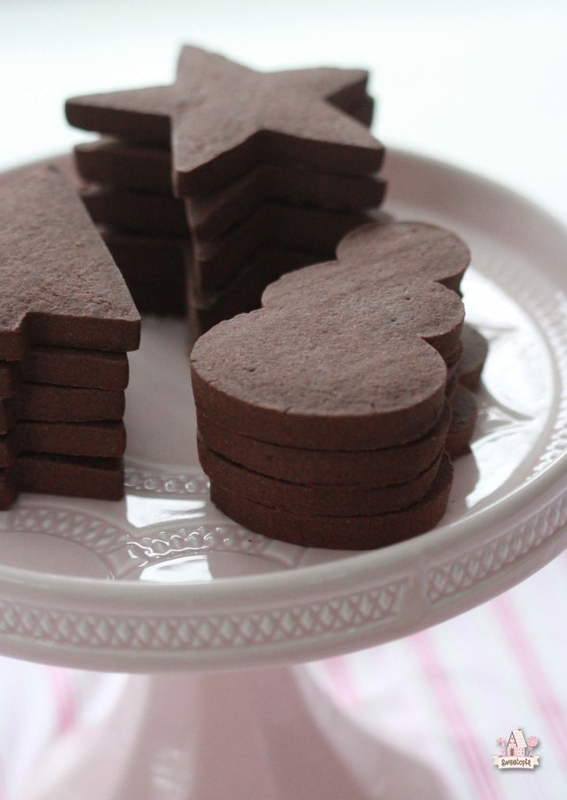 I am not a fan of sweet things, so the amount of cocoa gives these biscuits a chocolate but not too sweet taste. I will make these again! I’m not actually sure, I’ve never tried it. Please let me know how it goes if you do! About how thick did you roll out your dough? I made these cookies for my church’s ladies group (a very fussy bunch). They were a hit…very professional looking, not too sweet. *Used a snow flake cookie stamp on each one. I’m so glad they were a hit! Love your creativity! Thank you so much for this recipe! It is absolutely the perfect chocolate dough. It’s divine to work with and tastes “adultly” chocolate–definitely chocolate, but not too sweet. I added a subtle peppermint buttercream frosting on top with crushed peppermint dust. Perfection! What a nice combination, thanks for the ideas! So glad you like the recipe. Happy holidays! Hello, could you tell me the amount of butter in grams please, thank you! 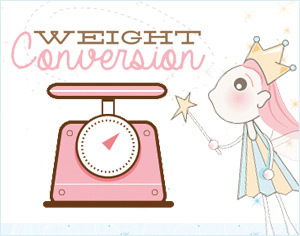 Are you using unsweetened cocoa powder? You can use either, depending on how sweet you’d like it to be. I generally use unsweetened. Hello Marian, the dough turned out very sticky , is this the way it’s supposed to be? No it shouldn’t be very sticky. Without having been there with you and seeing the ingredients and measurements etc., it’s difficult for me to say why it’s so sticky. There is an easy solution though… Just add about a 1/4 cup of flour at a time and mix, until your dough is soft, but not sticky. Thank you! I’ll try that, they were delicious! I made these last year and had to hunt for the recipe. I saved it this time. I like these and the plain sugar cookies. I love how they keep their shape so what you cut out looks the same after baking. Only recipe I have found that does this. AND they taste good! Glad to hear it! Thanks for coming back to let me know! Happy holidays! I made these last year and everyone raved about them. I made the dough again 2 days ago and just now got time to do the rolling and baking. I use cocoa powder in place of the flour on my rolling surface and rolling pin. It keeps the them from getting white flour spots. I’m so they went over well and thanks so so much for coming back and sharing your tip! Merry Christmas! I just noticed there is no leavening agent in this recipe (baking powder or baking soda). Was that left out inadvertently or is the recipe correct as is? Thanks! I leave it out of my cut-out cookies to help prevent spreading. Merry Christmas! Thanks for this perfect and delicious recipe. I baked them both last and this year. It was my best of all cookies ever made last year, but this year my dough got sticky, and I mean it, super sticky! I could neither use my cookie cutters nor shape them by hand! I baked the dough, it tasted well. What did I do wrong this year? And is it possible to mix the dough by hand and not an electrical mixer?? I’m glad you liked the recipe last year, and I’m sorry to hear it was sticky this year. It’s hard for me to say without being there what you did wrong, but my best guess, assuming everything else is the same (ingredients you used, environment you made it in etc. ), is that the measurements were off. The dough shouldn’t be super sticky. I wouldn’t advise mixing the dough by hand, sorry! I made the dough about a week ago, and it turned out amazing! However, I had a lot left that stayed in the fridge. Do you think it’s still good after a week? The dough might be a bit dry, but should be good. Happy New Year! Help! I tried these cookies yesterday, and they were grainy, like the sugar wasn’t all melting in. I let them sit in the fridge overnight, and tried again,and they were still grainy. I can literally see grains of sugar. I’ve been baking for years, so I am really not sure what I have done here. I tried not to overmix, as it would let them spread, but could I have undermixed them????? Please advise. What brand of unsweetened cocoa powder do you use. There are so many different brands and types, so I am not which to use and would love your guidance. This looks like a great recipe! I am going to try this and I really appreciate your helpful hints on how to have a better formed cookie. My sugar cookies were bubbling and now I know I was beating the butter and sugar too much. Thank you! I like to substitute about a quarter of the white sugar with brown sugar in my chocolate recipes. These food chemists in the NY Times recipe section (years ago) explained that it makes the chocolate have a deeper flavor. So I tried it and it is insanely good. I imagine it will work OK with your recipe as well. I will let you know. Anyway your site is wonderful and informative. I am a new fan! Hello – I loved the consistency of this dough. Do you have a normal vanilla sugar cookie recipe that is just as amazing? I looked on the internet I found it’s around 4 sticks of butter equalized to 454 grams isn’t? Are you using a convection oven to bake these cookies or conventional? I’d like to give your recipe a try. Thanks so much! Can you make this dough in advance and freeze it? If so, how long is good for and what is the best way to thaw it out? These cookies are SO DELICIOUS. This is my third or fourth time making them with royal icing and they cut out nicely and retain their shape. Consitency was my favorite of the three recipes I’ve made. Thank you!